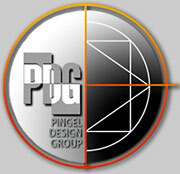 PDG creates environmentally friendly equipment and manufacturing processes. PDG designs and manufactures retail products, green construction related products and green processing equipment. Environmental recycling equipment is developed from concept, testing, prototyping to production in a short period of time reducing cost. The management method which is used (TIM) creates streamlining, simplification and innovations which reduces cost in production. PDG’s, proven molding technology enables the Company to create large panels that fully capture the aesthetics of natural wood, stone, tile or other material (reducing costs, increasing product value) all within an environmentally friendly operation. Standardized methods allow for a greatly simplified installation process, superior quality control.